← On the Grid at the Indy 500!!! 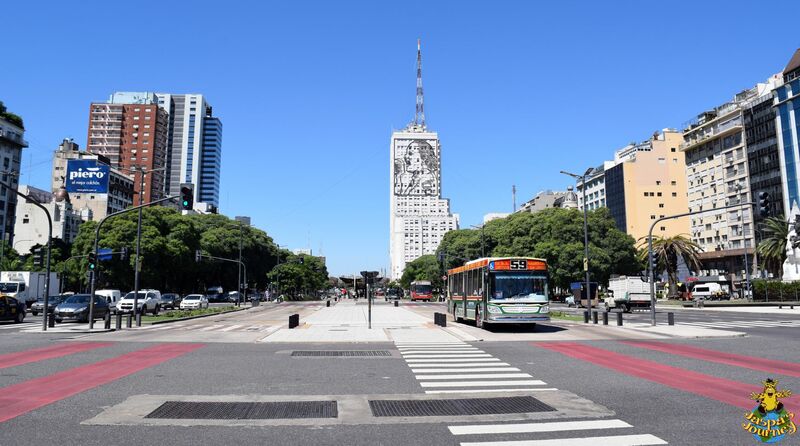 Avenida 9 de Julio is a monumental street that runs through the heart of Buenos Aires. It takes its name, which translates to July 9th Avenue, from the date Argentina officially declared independence from Spain in 1812. Walking down the middle of the 12 lane avenue, it’s hard to believe construction didn’t begin until the 1930s. The scale of the demolition necessary to create this 460-feet-wide swath through the centre of the Argentine Capital must have been staggering. Near the southern end of Avenida 9 de Julio is the former Ministry of Communications building, which today houses the Ministry of Social Development. 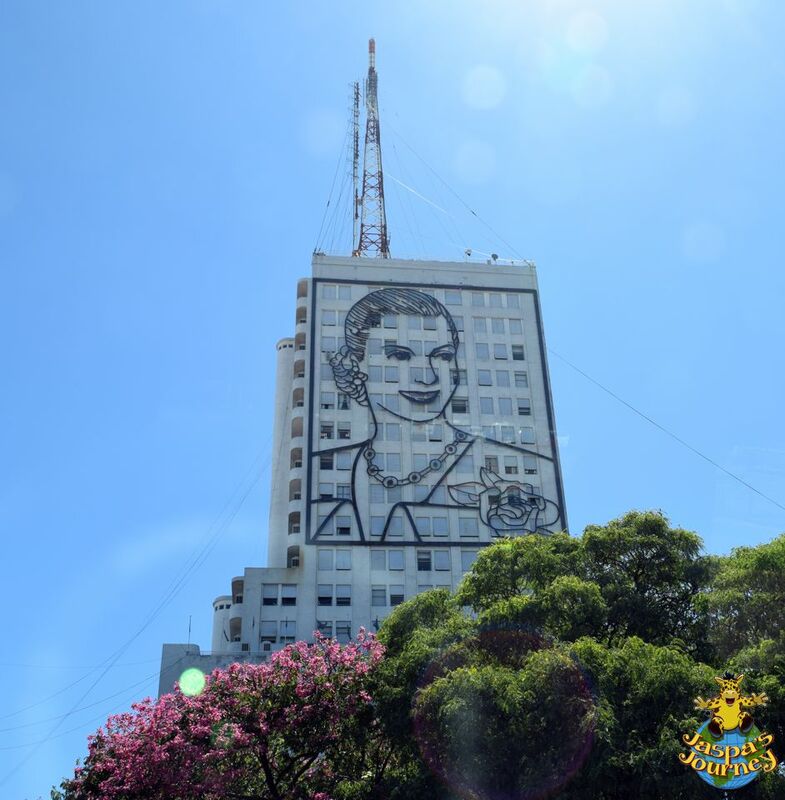 What’s interesting about this building are the two massive steel portraits of Argentina’s heroine, Eva Perón, aka. Evita. Each sculpture is over 100 feet tall, nearly 80 feet wide and weighs 14 tons. 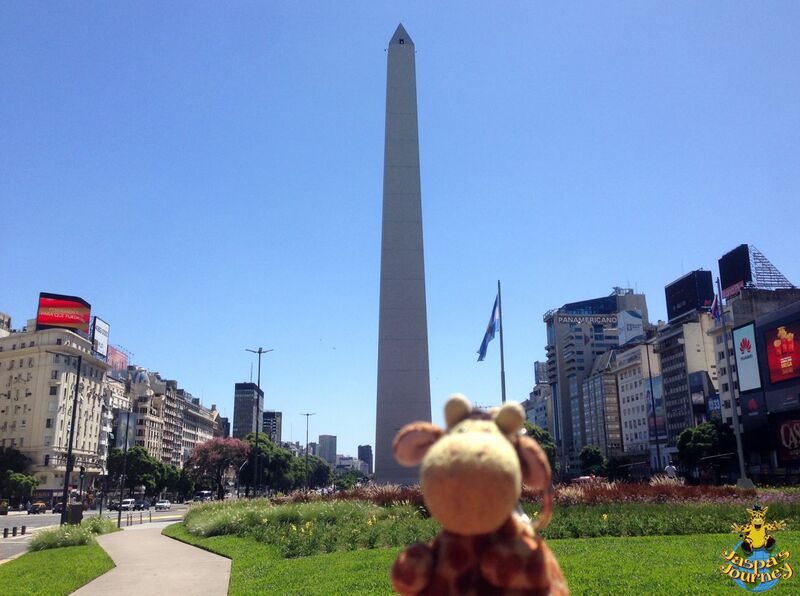 Roughly halfway along Avenida 9 de Julio is Plaza de la República, in the centre of which stands El Obelisco. 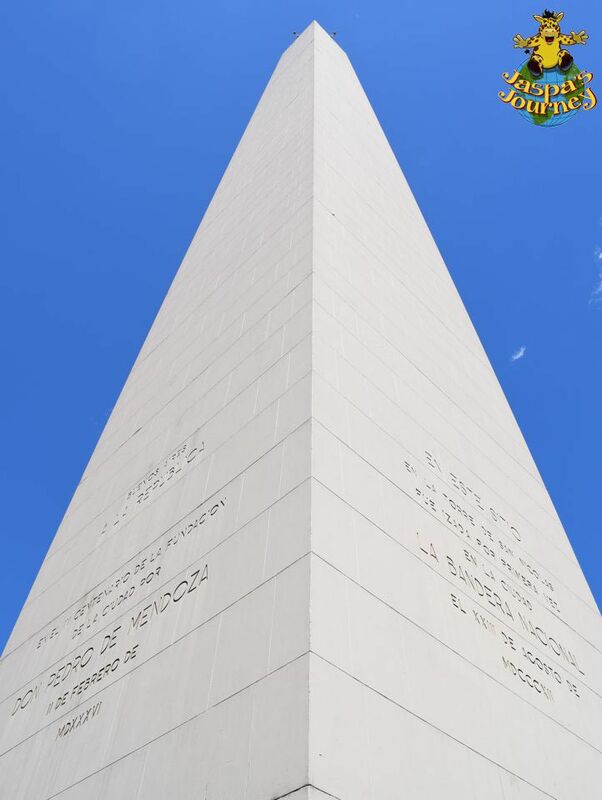 The 221-feet-high Obelisk was built in 1936 to celebrate the 400th anniversary of the founding of Buenos Aires. 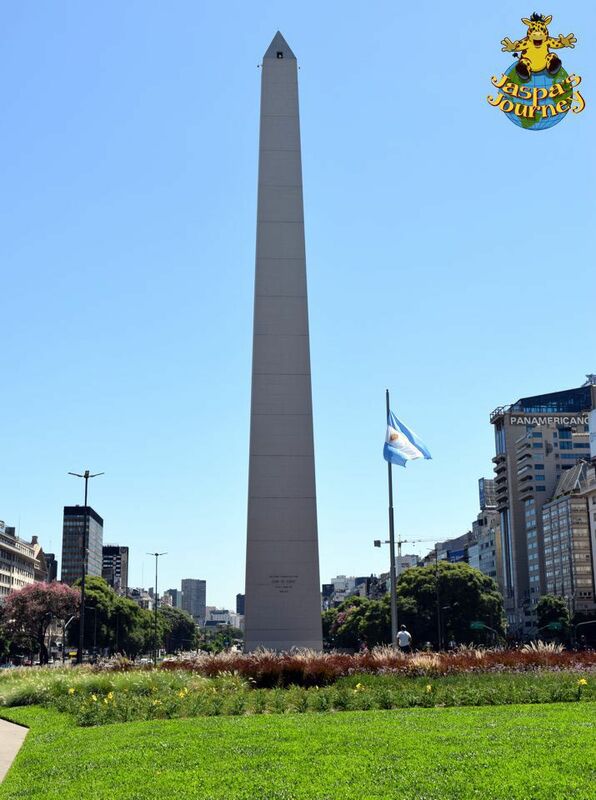 It occupies the former location of San Nicolas Church, where the Argentinean flag was flown for the first time in Buenos Aires following independence in 1812. 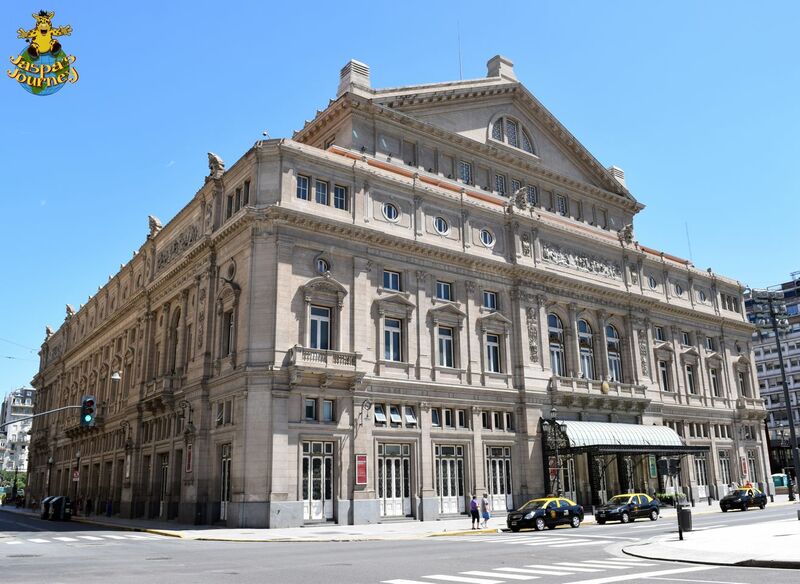 A little further north is Teatro Colón, Argentina’s premier theater and opera house. The northern end of Avenida 9 de Julio feeds into Arturo Illia Expressway, which in turn joins the Pan-American Highway that runs all the way from Tierra del Fuego to Alaska. 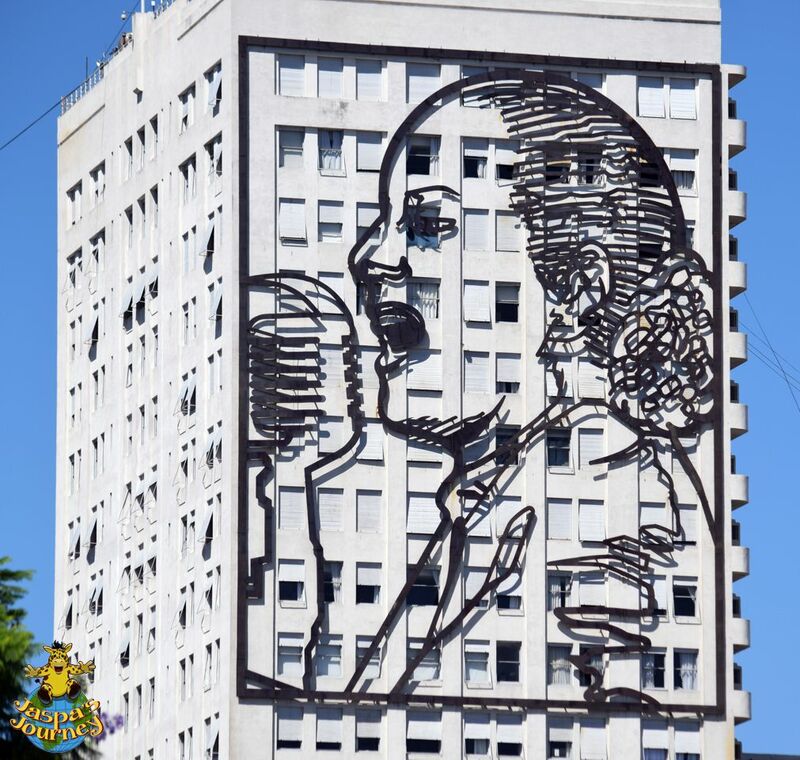 A big thank you to Pablo Piera for introducing us to Avenida 9 de Julio. This post was inspired by the photo themes of All About Cities from Cee’s Fun Foto Challenge and Jo’s Monday Walk. If you’re the sort of person that loves delving into history on your travels, why not sign up and follow my continuing Journeys here at Jaspa’s Journal (on WordPress or Bloglovin’), or through my website, Facebook, Twitter, Instagram and Tumblr? And if that’s not enough for you, the first Jaspa’s Journey adventure, The Great Migration, is now available in both paperback and ebook formats from Amazon and other online booksellers! The first two sequels are scheduled to be released by Speaking Volumes later this year. 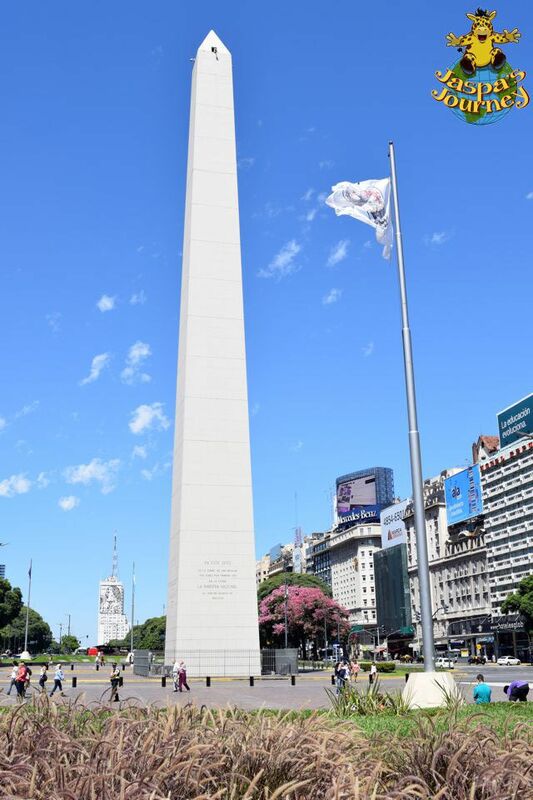 This entry was posted in History, Jaspa's Journey, South America, Travel and tagged Argentina, Avenida 9 de Julio, Buenos Aires, Cee's Fun Foto Challenge: All About Cities, Evita, Jo’s Monday walk. Bookmark the permalink. Good memories! I have been here! I miss mate. BA is definitely an interesting city. Wonderful city photos for this week. Thanks Jaspa. Any time, Peggy, any time! It’s all on the grand scale, isn’t it, Jaspa? I love the Eva Perons 🙂 Many thanks for sharing. Grand scale doesn’t even begin to describe it, Jo. And if you look carefully at Evita’s hair in the second picture you can make out a date. I’ve always wanted to go there. Thanks for sharing your pictures! I hope you make it there one day, Victoria! 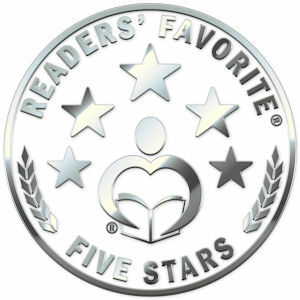 I hope you continue to enjoy it, Susan!